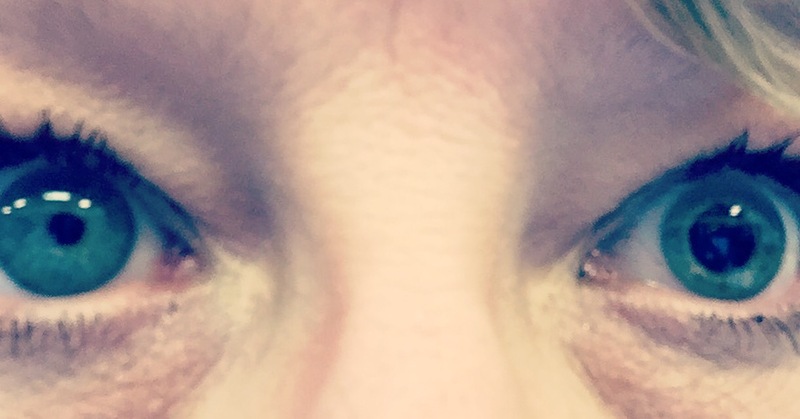 I look kind of crazy with one pupil dialated but hey, it’s kind of interesting looking in a creepy way. About 6 weeks ago, I noticed a dark floater in my left eye. At the insistence of my sister-friend Kim, I finally made an appointment with an ophthalmologist. I saw him this morning. He was wonderful and very thorough. Unfortunately, he didn’t give me the news I was expecting. I have Vitreous Detachment. It’s probably been coming on for a while but he believes my pneumonia bouts of hard coughing caused the complete separation of the vitreous gel from the retina. I’m at risk of a detached retina but I just have to be careful and watch for white flashes. There’s no cure for this but Kim found an article online with a treatment that works for some people. Since this was a very hard pill to swallow, I will most likely go for a second opinion. As it stands now, I’ll just follow doctors orders (basically no eye rubbing or heavy lifting causing strain) and see how it goes. Wish me luck.